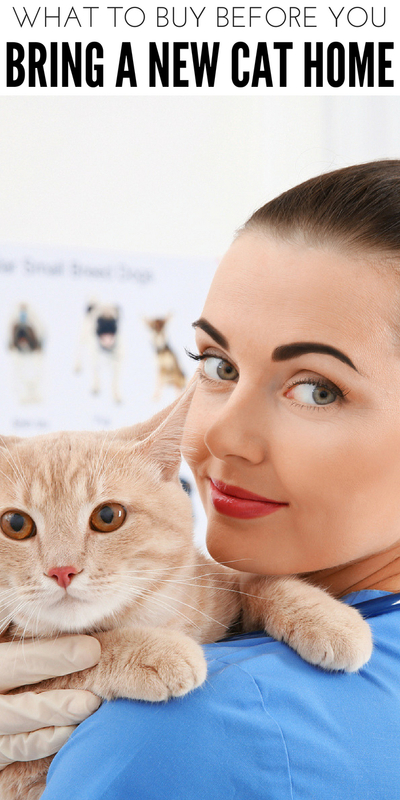 Are you considering adopting or buying a new cat? 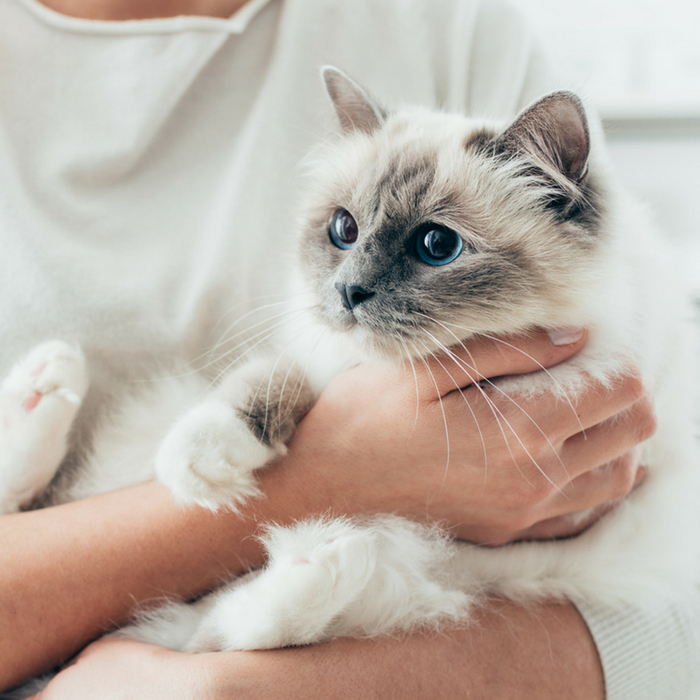 If so check out this list of items below that you might want to have on hand before you bring your furry feline home. This list of supplies will help make the transition of a new cat a lot easier than if you didn’t have supplies on hand. Check out my list below to gain inspiration, and get some items ordered and delivered to your doorstep so you are ready for your big arrival. Nothing is more special than taking the time to pick out a new cat or kitten to bring home. It is so fun adding a new family member into your home. But, it can be a little stressful when you forget a few items and realize that once your cat is home. I remember when we brought home our newest addition, our GreatDanee, I wanted to make sure we had everything on hand. I hate leaving an animal at home alone right after they come home. You know they are scared and anxious, the last thing you want is to leave them alone. I recommend asking the previous owner as to what they are feeding the kitten and make sure to slowly transition over to a new food if you want to change your kitten’s food. Then look for a water bowl that is the right size. If you have a kitten you will want a smaller size bowl. Litter, litter box, and a scooper are all essentials. If you plan to litter train your cat make sure to buy these items before your cat comes. Get it set up in an area that is quiet and easy for your new kitten or cat to find. Also, maybe a litter mat to help keep the little pieces of litter from getting spilled out and spread through your home. Nail clippers are not a have to have right at first, but they are a good item to have. In case they snag or tear a nail you can clip it. Also, you will have if their nails need a little trim. Have some cat toys on hand so that when it comes to playing you have items on hand. It is recommended to never use your hand as a toy. Doing this will confuse your cat and you might get a hard bite or scratch. Find toys that will be fun for your cat when you are able to play with them and find toys that can entertain them when you are gone. There isn’t a ton of items you have to have right away. But in time you will begin to accumulate more items. You might want a cat house or a fun area for your cat to lounge on by a window. Just make sure to have items to take care of your feline. What essentials do you recommend for bringing home a new cat?